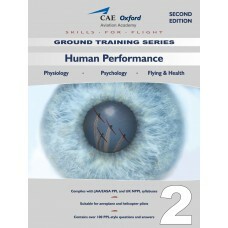 One of the principal aims of this book is to assist you in preparing for success in the PPL theoretical knowledge examination in ‘Human Performance and Limitations’, whether you are learning to fly aeroplanes or helicopters. A further main aim of the book is to promote the cause of flight safety by enabling student pilots to learn the essentials about the interaction between the human being, the aircraft and the flying environment. Working through this volume will help you understand the human body’s limitations when operating in an aviation environment, and make it less likely that you will ever become the “human factor” in any aircraft accident.